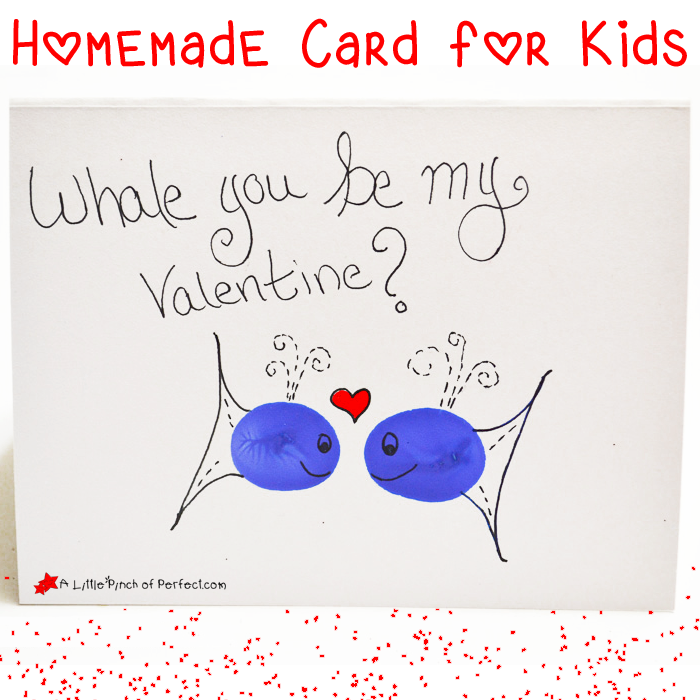 If you are looking for an easy Valentine’s Day card to make with kids look no further because this one is rated-two thumbs up and is just shy of a full high five–handprint craft that is! Since we know how much you love your family, friends, and classmates we think that the biggest animal in the ocean is the perfect (and cutest) way to show how big your love is this Valentine’s Day. 1. Paint child’s hand green and make a hand print on the front of the card. Keep fingers slightly close together instead of spreading fingers apart as far as possible to make the turtles body. 2. 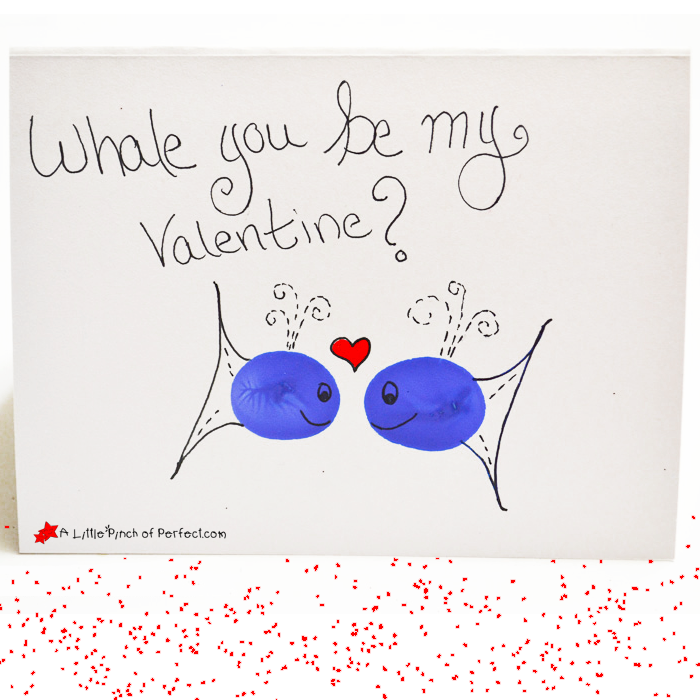 Once the paint dries, use your black pen to draw a tail on the thumbprints to make a whale and write the words, “Whale You Be My Valentine?” or whatever cute and clever saying you come up with on the card. I also added a red heart using marker to make it look more Valentine’s-ish. We hope you have a Happy Valentines Day!